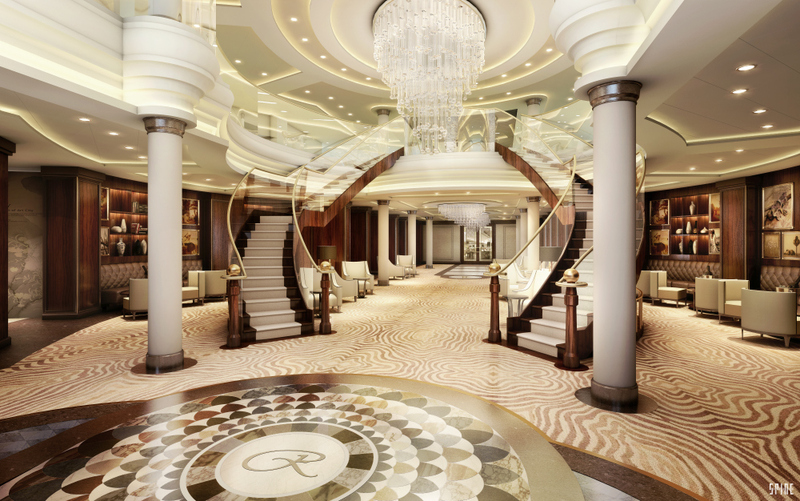 Regent Seven Seas Cruises have released more details about their forthcoming vessel Seven Seas Explorer. The 56,000 gross ton vessel will offer a capacity of just 750 passengers. 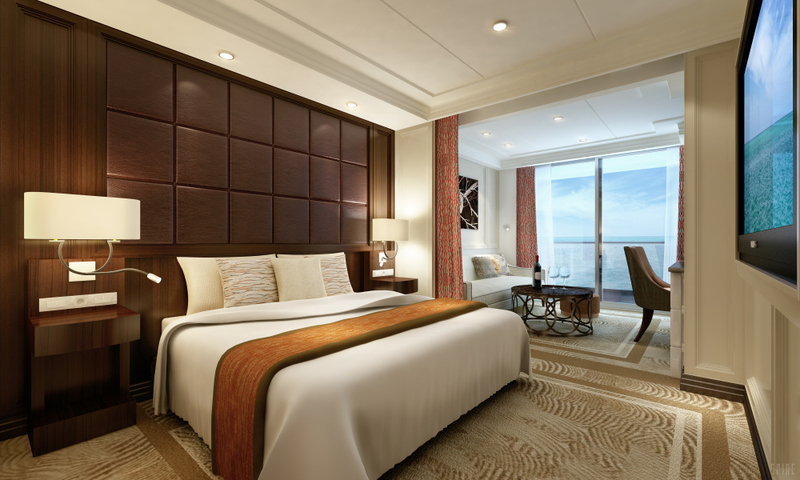 It has been designed as an all-suite ship and features a brand new category of suite for the line named the Regent Suite. 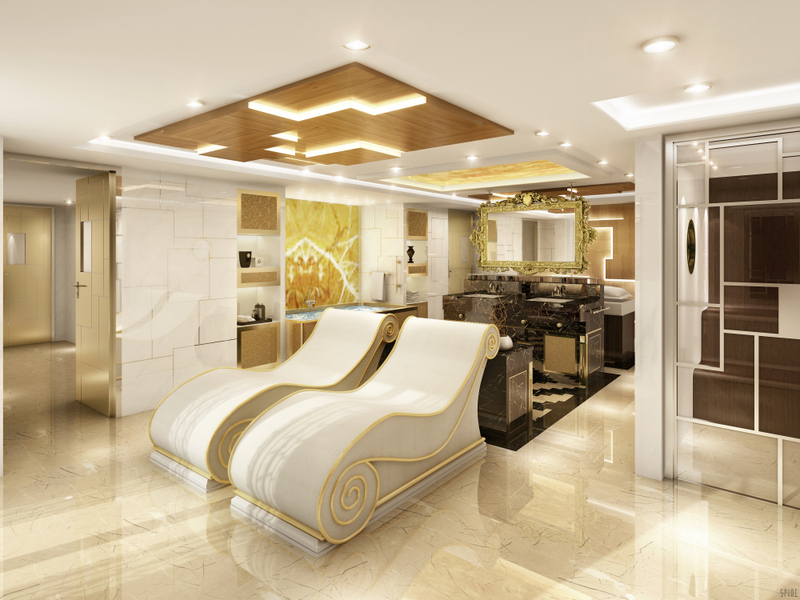 This luxurious two-bedroom suite offers 3,875 square feet of living space and comes complete with an in-room spa retreat – a first at sea – with sauna, steam room and treatment area. 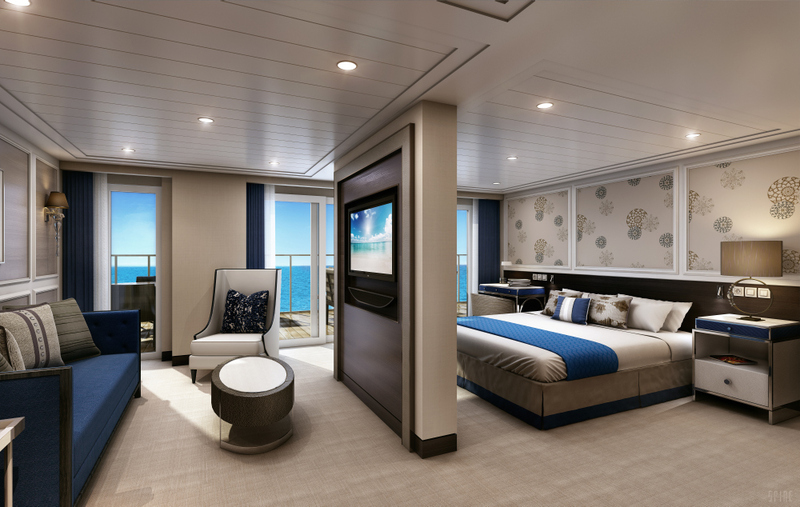 The suite also features an outdoor, glass-enclosed sitting area named the Vista Garden, where guests can enjoy magnificent 270-degree views over the ship’s bow and toward the horizon. 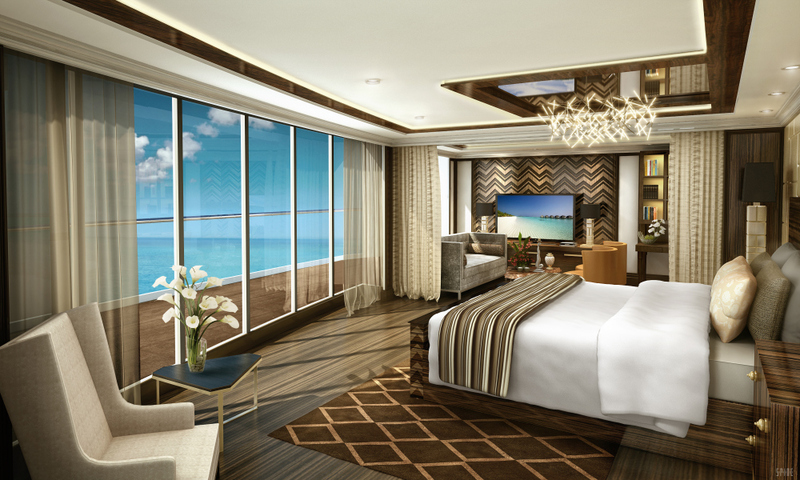 Each suite category features its own unique layout and design elements. The spacious interiors are complemented by the largest private balconies in the cruise industry, enabling guests ample space to enjoy the sea air without leaving their suites. The lobby will demonstrate meticulous level of craftsmanship and lavish detail with a circular inlaid marble floor and twin etched-glass staircases that draw the eye upward towards a cascading crystal chandelier. 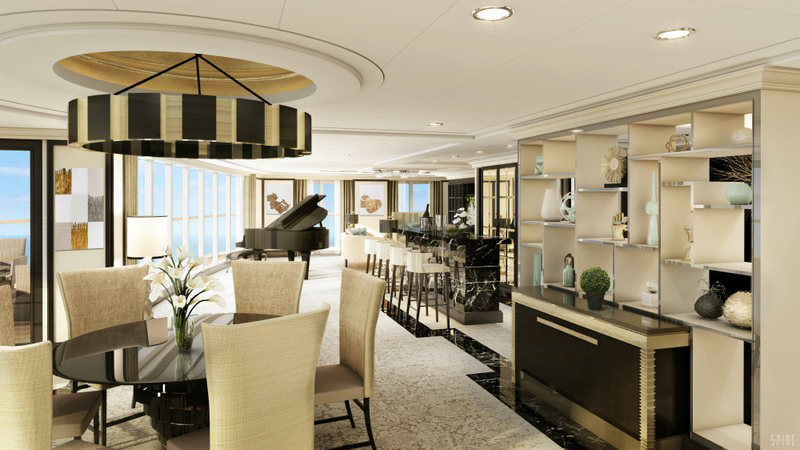 The vessel will offer a selection of speciality, casual and main dining options on-board. Prime 7 will be the signature steakhouse. 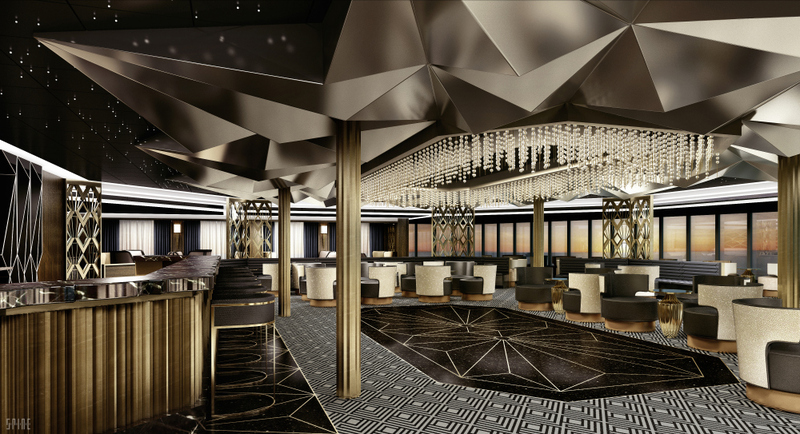 It will feature a new décor highlighted by dark purple hues, silver accents and plush leather seating, reminiscent of a London private member club. 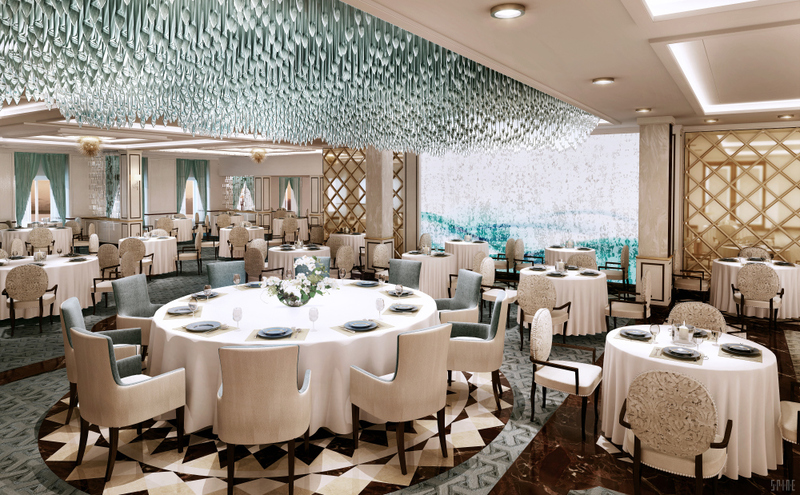 Compass Rose will be the main dining room that will be styled in a sophisticated contemporary way and will be finished with a cascading aqua-blue chandelier. 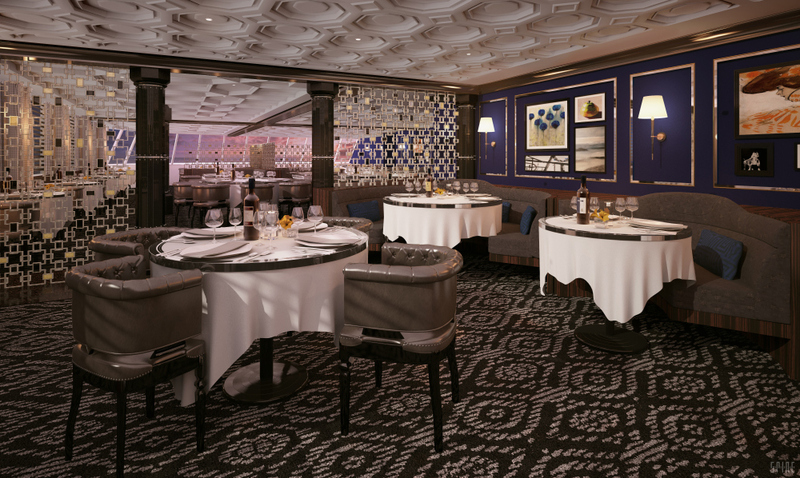 Guests can enjoy casual indoor and al fresco dining in the effortlessly chic Italian Riviera-inspired La Veranda on deck 11. 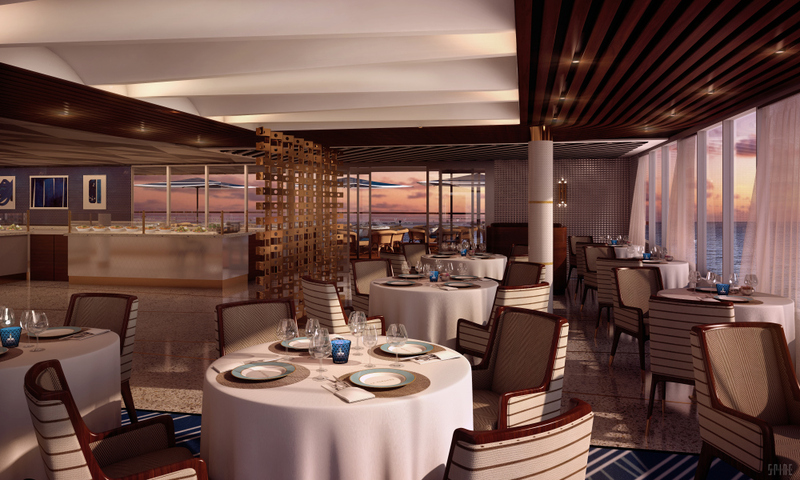 It will offer 270-degree ocean views and will transform into an elegant fine dining restaurant by the name of Sette Mari at La Veranda each evening for dinner. 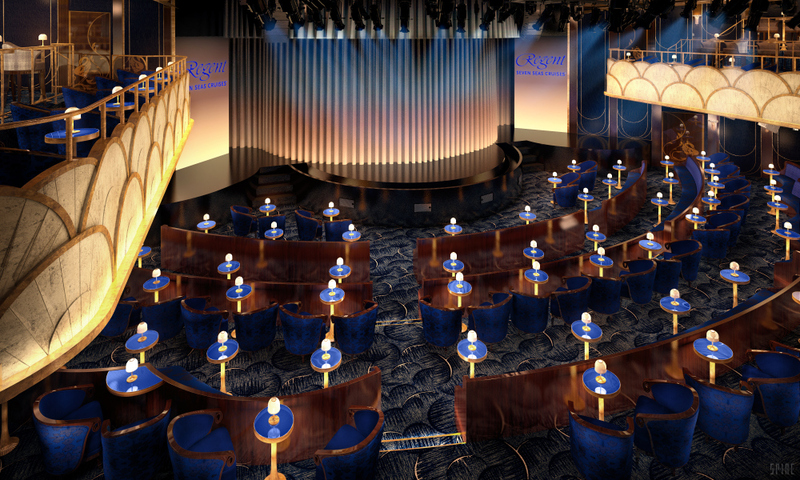 The ship’s primary show-place will be the two-tiered Constellation Theatre which will pay homage to the glamour of Hollywood’s golden age. The ornate 694-seat theatre will offer a mix of cabaret-style seating intermixed with cocktail tables. The Observation Lounge brings to life the opulence and indulgences of the Roaring Twenties. The venue’s design will feature a colour palate of rich silver, gold, black and white hues and the venue will benefit from floor-to-ceiling windows offering ocean vistas. 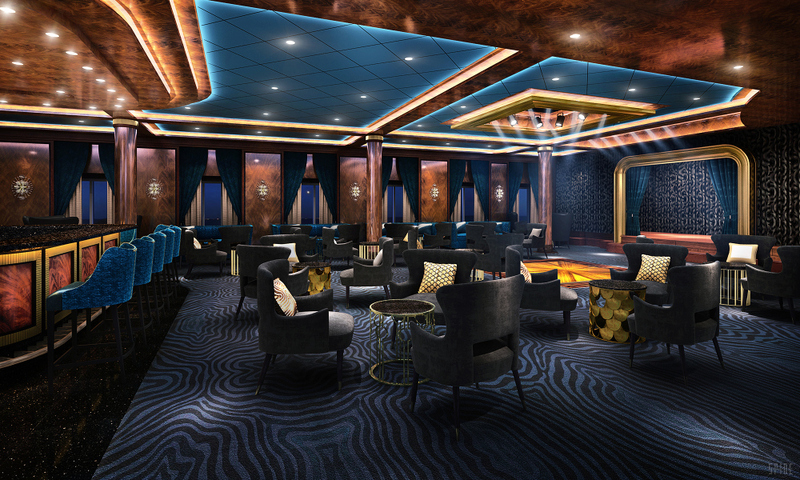 The Explorer Lounge will provide more of a country club ambience with rich mahogany wood columns, comfortable leather chairs, deep blue fabrics and sumptuous flooring. 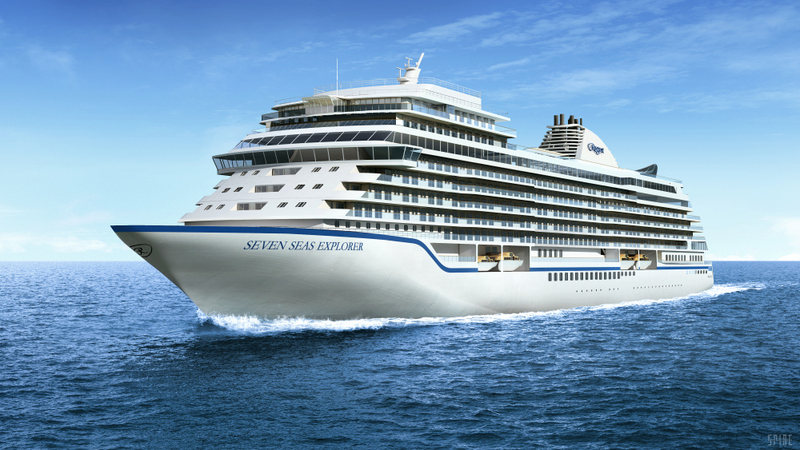 The maiden voyage for Seven Seas Explorer will be a 14-night sailing from Monte Carlo to Venice on 20 July 2016. The ship will remain in Europe for its inaugural season, sailing 11 voyages that will traverse the Mediterranean and call into ports such as Barcelona, Ibiza, St. Tropez, Venice, Istanbul, Alexandria (Egypt) and Jerusalem.